Once you have dispatched packaged stock, you may discover that an error was made. Most, if not all, errors may be corrected (including the BOL). 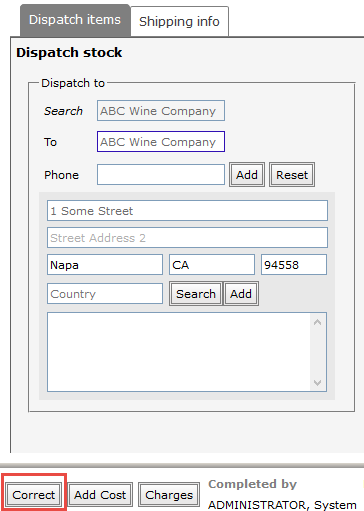 First find your dispatch: File – Search – Dispatch Search. 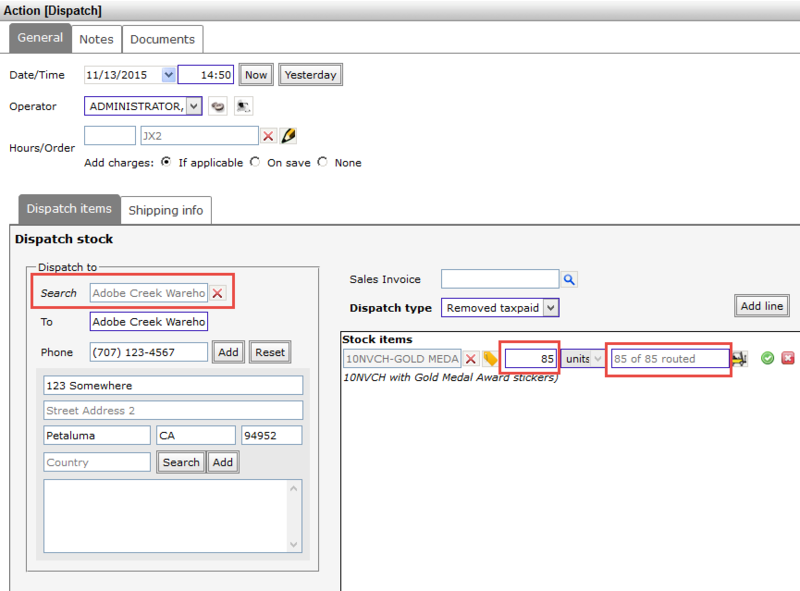 Locate your dispatch and select it. 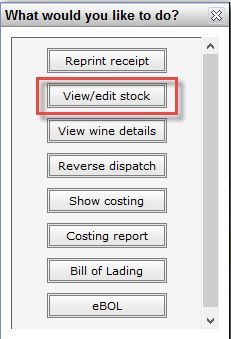 From the dialog box, select View/edit stock. Go to the History tab and click the View button on the right. Correct the dispatch details. In our example, we chose the wrong warehouse and the wrong number of cases. Before saving, enter the reason for the correction. The BOL declaration screen will open; if you need to print a new one, you may do so from here. When you return to the History tab and click the Show reversed check box, you will see 90-case dispatch as having been reversed and replaced with the new dispatch for 85 cases.